What Is Caffeine And How Do I Use It? 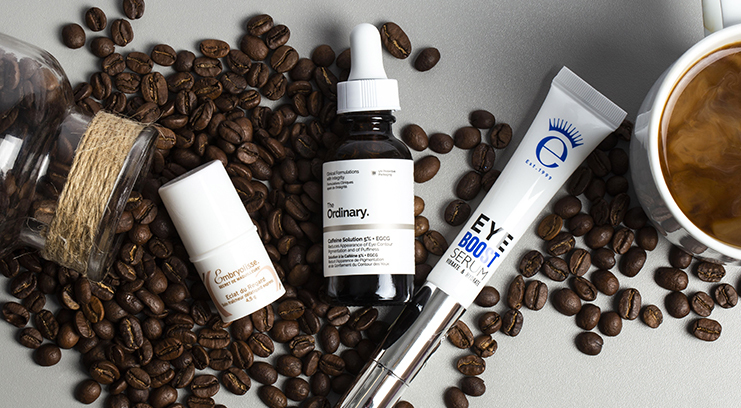 You rely on your morning tea/coffee to kickstart your day and pep you up, but did you know that a few drops of a caffeinated serum or eye cream is just as effective for your skin as a shot of espresso is for your energy levels? Here’s everything you need to know. Aside from being a stimulant in drinks, caffeine is an anti-inflammatory and antioxidant which energises the skin and protects cells to keep skin looking and feeling fresh and hydrated. Caffeine penetrates the skin and has a constricting effect which reduces swelling – and therefore the appearance of puffiness and dark circles. This effect is only temporary (so won’t have long-term benefits) but can make a big and immediate difference if you’re prone to waking up to swollen, puffy eyes. In addition, caffeine is an antioxidant, so it helps to protect the skin from damage by fighting free radicals (unstable molecules which accelerate signs of aging). Caffeine also helps to improve hydration when applied topically to the skin – by increasing energy, it increases moisturisation. As a skincare ingredient, caffeine is most commonly found in eyecare products, due to its effectiveness when it comes to limiting the production of free radicals – the harmful cells that cause fine lines and wrinkles. 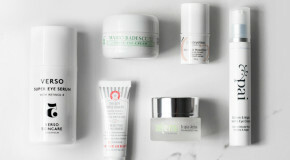 It’s important to protect the eye area as skin is at its thinnest and most delicate here so it’s easily damaged and is typically the first area to show signs of aging. In the morning. Just as it’s recommended you lay off the coffee post 3pm, experts adise keeping caffeine out of your nighttime routine – too much caffeine can result in dehydration, and no one wants a dry eye area! 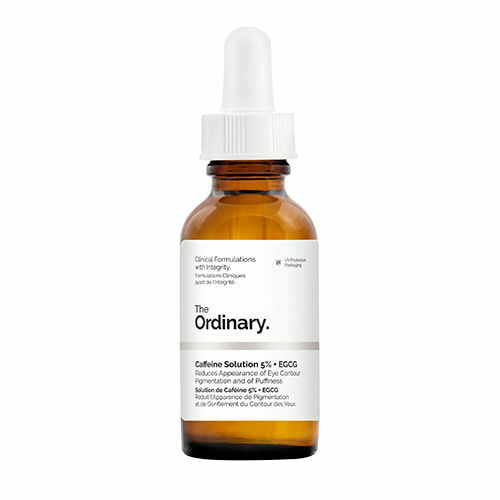 This watery serum sees caffeine married with EGCG, a powerful antioxidant derived from green tea – so you’re getting a double whammy of antioxidants. Use this to boost hydration, minimise fine lines, and make tight skin feel more comfortable after cleansing. The thin skin around the eye area can be easily irritated, which is exactly why this uses caffeine to reduce stress and inflammation. Smooth the refreshing stick across your eye area for gentle hydration that absorbs in seconds and banishes uncomfortable puffiness. 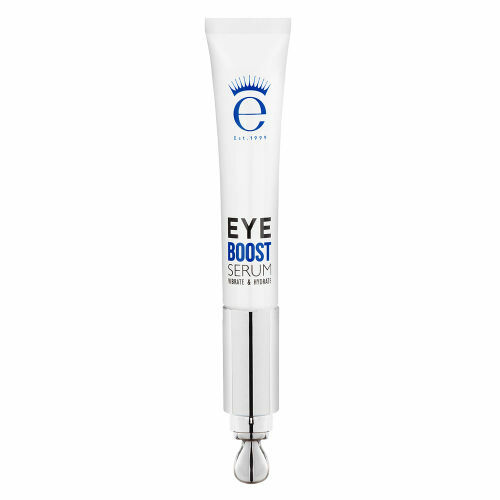 This is an instant wakeup solution for tired, puffy eyes. 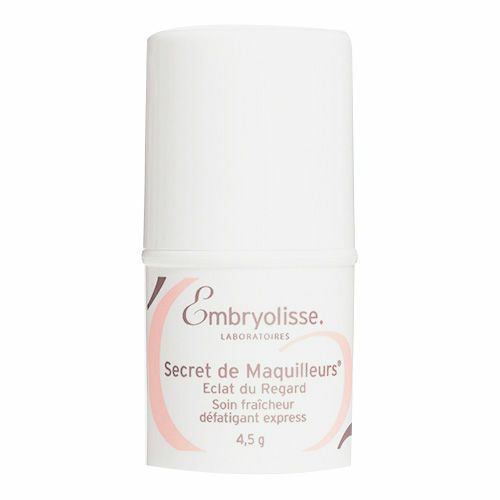 The caffeine-enriched serum is a refreshing gel, dispensed via a cooling metal applicator which helps to quell puffiness and soothe itching (keep it in the fridge for bonus cooling points).